Thanksgiving is past so we are officially ready to fully engage with the Holiday Season! Firstly, we have cleaned up the Etsy shop of some of the Spring-themed items, and added several holiday cards. Second, this Saturday (Dec. 1) we will be in Columbia City at the Orca Holiday Bazaar! 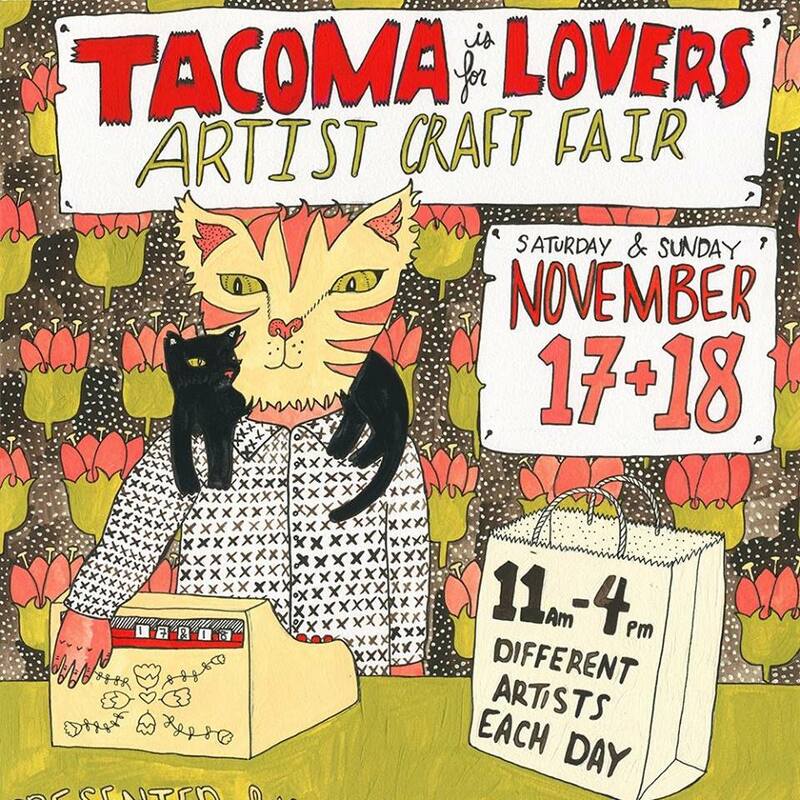 Come do some holiday shopping, see local vendors and artists, and support the Orca School K-8 PTSA! 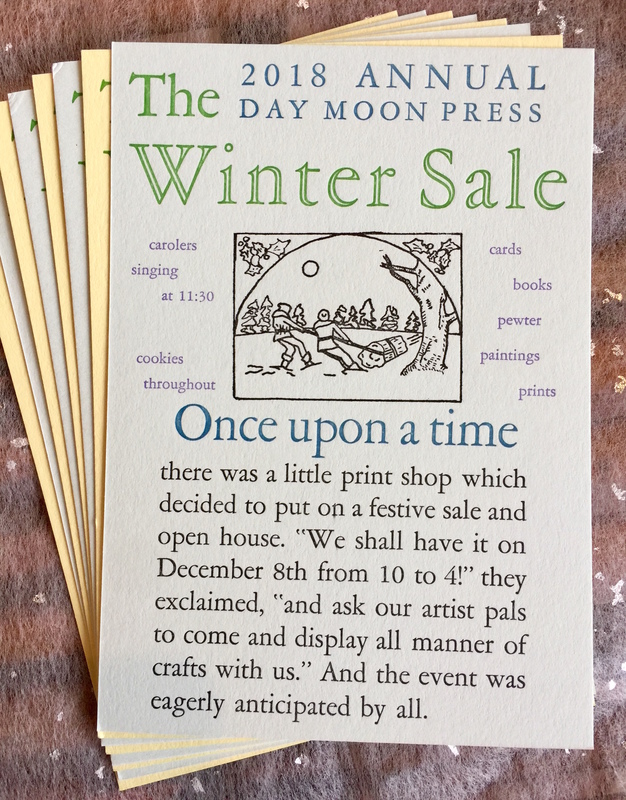 And third, we are having our own Winter Sale and Open House the Saturday after that, Dec. 8, from 10 am to 4 pm. We’ll be cleaning up the shop to squeeze in as many of our friends and their wares as we can: letterpress printed materials, pewter jewelry, paintings! Carolers at 11:30 am! There will also be snacks. 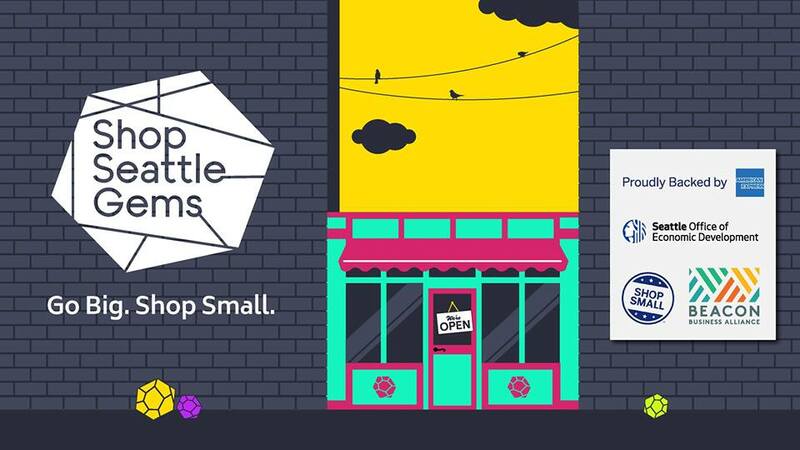 Shop Small Saturday is this weekend! Our home of Beacon Hill hosts so many small businesses to explore, a Seattle Gems scavenger hunt, and a pop-up festival at the Plaza Roberto Maestas. Check the Facebook event page for more details about activities and directions. Ourselves, we will be officially open longer hours, 10-6. 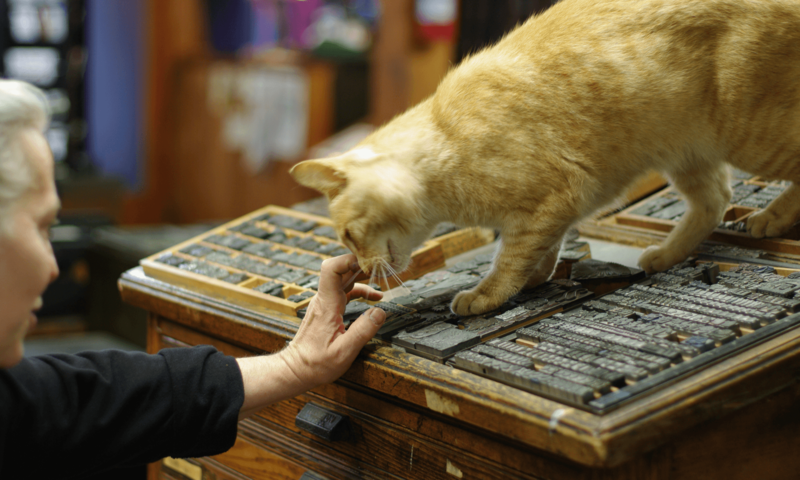 Come visit us to see the retail corner of cards, journals, and art books; chat about letterpress printing; watch us print!